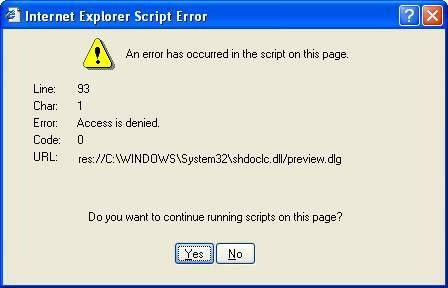 We have found that performing a system clean of Adware can fix this. We use AdAware, Spybot Search & Destroy, and for more advanced users HiJackThis. Click here for our recommended list of spyware cleaners. My best guess is that one of the adware programs is the type that "read" the page in order to pop-up ads relating to what you are currently browsing. In doing so, it chokes on some of the code in the page you are trying to print.